The season of the JCCC Natsu Matsuri (Summer Festival) has arrived. putting up the tent, etc. If you think you work well in any of these tasks above, let us know which one you would like to take on. Please be advised that depending on the number of people already assigned to the task, we may have to ask you to help us out in another one. 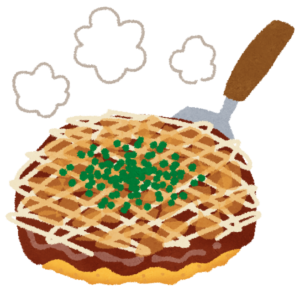 The food booth opens on July 14th at 1:30 p.m. but we require people to help with the preparing of food and cleanup afterwards. Therefore, let us know in your inquiry on what times, between 8:30 a.m. and 9 p.m., you can help us out. Choose from: Email Chie at programs@jss.ca, fill in the online inquiry, or call the office. No need to worry if you haven’t registered as a volunteer at JSS. You can still volunteer for us. This is also a good opportunity for high school students who require volunteer hours. Please let your friends know about this volunteer opportunity. We wait to hear back from you. Together with your help, we can make the JSS booth a success!